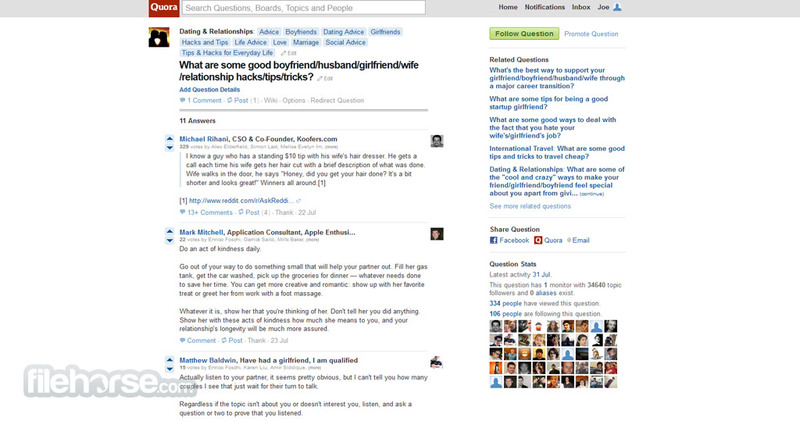 Quora connects you to one of the most innovative online social experiences that you can find today in the internet. In it you can not only share anything you want with the world, but you can also receive answer to any question you have to ask. Large community of people from all possible employment backgrounds will be present to answer your question, no matter what interest you have. Doctors, military veterans, economist, scientists, screenwriters, they are all there to provide you and other users with answers they seek. With easy to use search engine and browsing of predetermined themed sections of the site, you will surely feel right at home. Network for questions and answers! Writing articles, finding answers, and communicating with people has never been as easy and informative as with Quora. Sharing knowledge become much easier with the rise of the internet, but the appearance of countless websites where that knowledge is stored, misinformation, hidden content deep into sites that seemingly have unrelated connection with your questions and the troubles simple web search can give you have created environment where finding answer becomes a chore. To solve this problem, developers Adam D’Angelo and Charlie Cheever have managed to build an innovative social network dedicated to gather a community that is willing to quickly and completely answer any question you may have. Everyone who becomes part of Quora is encouraged to start answering questions they know answer to. No matter how small detail you have, that snippet of info may become crucial for someone. With fully dynamic website design, large and most importantly very friendly community, finding answers on Quora becomes as easy as possible. Built form the ground up to provide internet community with the brand new way of collecting information, learning and finding answer, Quora enables everyone to ask questions, post answers, and even add your own new data to existing answers. All this is enabled by fully modular design of this immensely popular cloud-powered website. 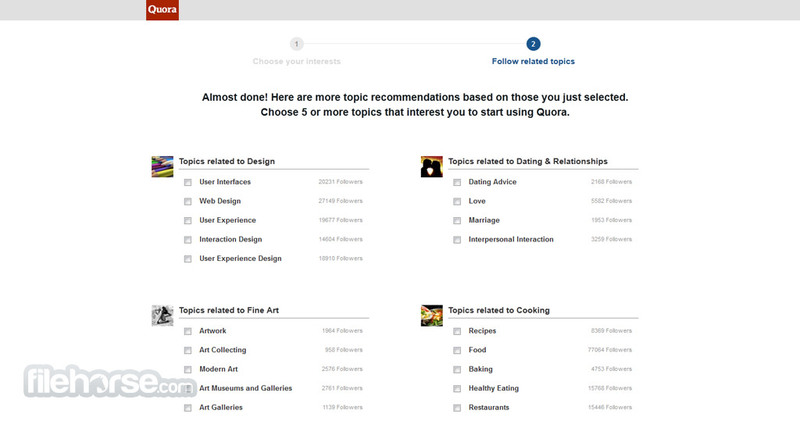 Being in the top 500 most visited sites on the internet gives Quora critical mass of internet users that can very quickly find answer to any question you may ask, enabling you to get data that you would otherwise spend hours or even days collecting from various other internet resources that are often dedicated to single topic and not to your specific needs. Network for questions and answers! Creating a site that is fully dedicated on information gathering, collaboration of the users and finding the right answer to any question has caused some tough impacts on the visual design of the Quora. At first glance this site has a very Spartan and simple design that does not evoke much of the other modern web 2.0 destinations, however, this approach does not impact its functionality and its usefulness. And that is most important. Site is void from clutter, unnecessary design choices, no flashy banners and nothing that will distract you from the questions and answers that are in front of you. Nicely provided set of tools for browsing, searching, managing and communicating perfectly fits into the style of website that is much more focused on information than appearance. 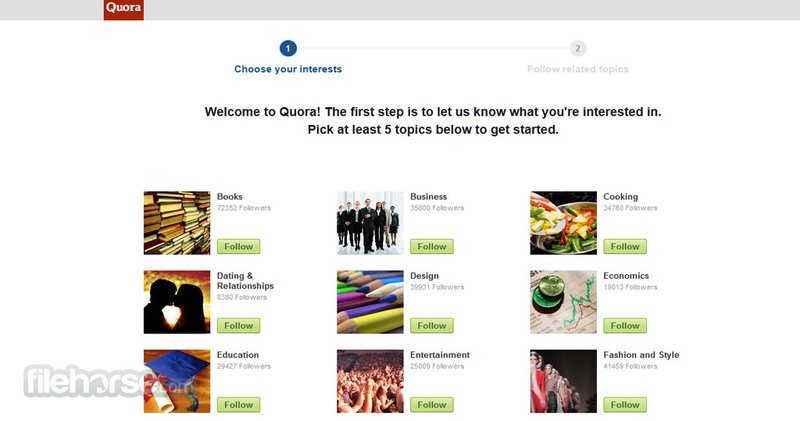 Registration process for Quora is simple and fast, enabling you to choose from four ways you can create new account. With a press of a button you can log in by connect your Facebook, Google or Twiiter credentials, or you can elect to go with the longer route by providing Quora.com with your email address and desired password. The website is 100% free, with no registration costs, monthly fees, or any other in-site purchases. Great Network for questions and answers! If you are frustrated with endlessly searching for some piece of information that is surely hidden somewhere on the internet, look no more. Engaging community from Quora will be there to answer all your questions with answers that are tailored to your specific needs.